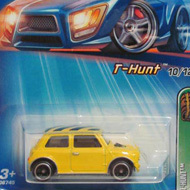 2005 is a 12 car set with the fan favorite VW Bus included as a bonus 13th vehicle to celebrate the 10th anniversary of Treasure Hunts. 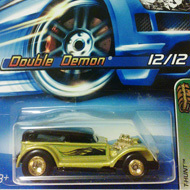 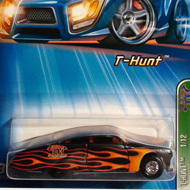 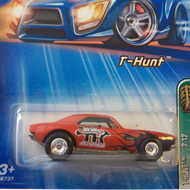 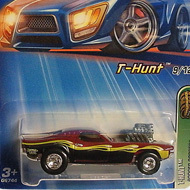 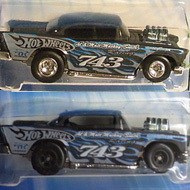 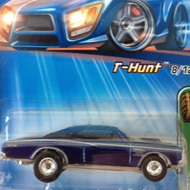 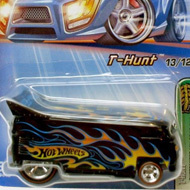 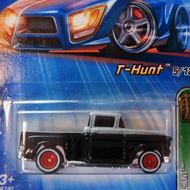 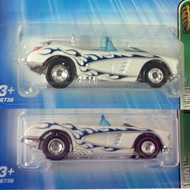 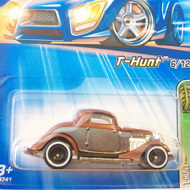 Each can be identified by a vertical green stripe with “T-HUNT”, the vehicle’s name, and a treasure chest on the package. 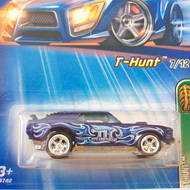 11/12 from the 2005 Treasure Hunt series. 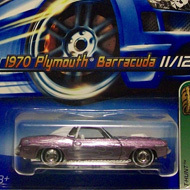 The Barracuda has purple metalflake paint detailed with black and silver flames on the sides….